Going through my old pages helps remind me why I scrap. I thought I would share some of my favorites & why they mean so much to me. These first two I love because I scrapped pictures that were taken five years apart at the same place: Chimney Rock. It brings back lots of memories of family trips and it reminds me how fast my children are growing! 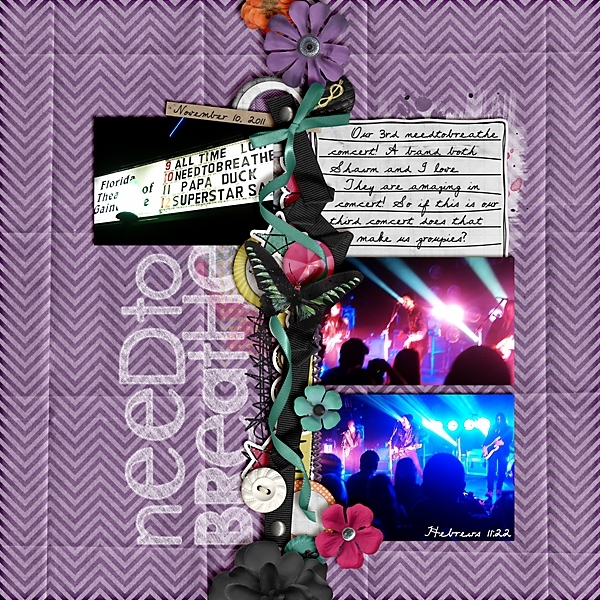 Here and Now Templates and Here and Now Kit by Tracie Stroud and Captivated Visions (no longer available). 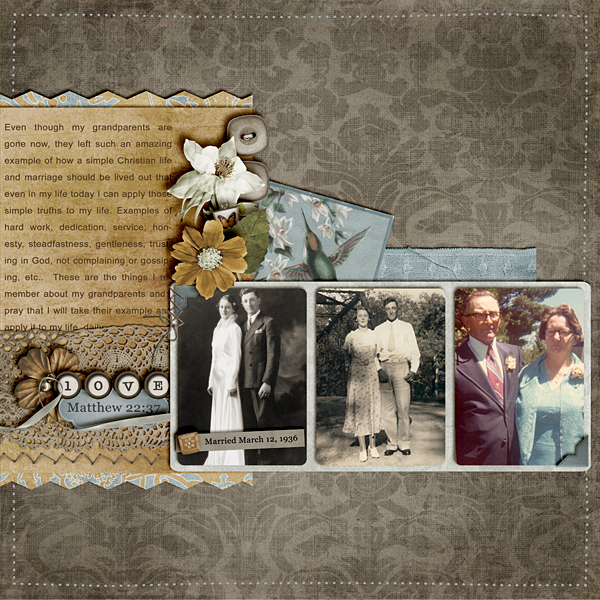 I love this one because it reminds me of my grandparents....so many good memories! 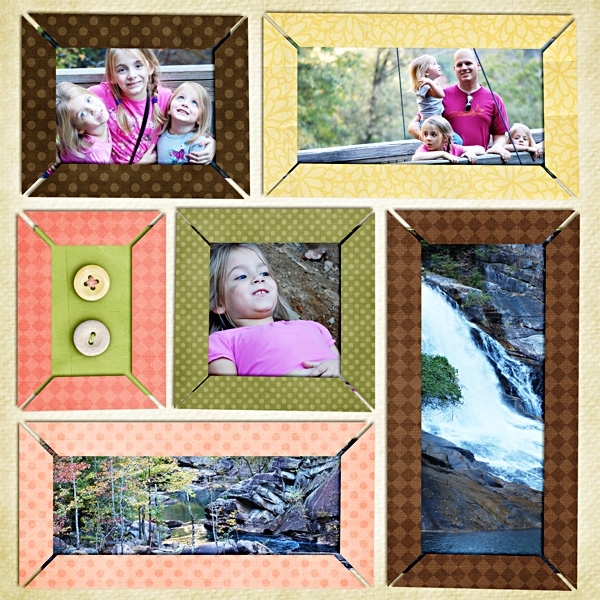 Miscellaneous Templates 1 and Vintage Treasure by Julie Bullock (no longer available). I like this one because it reminds me of my hubby. 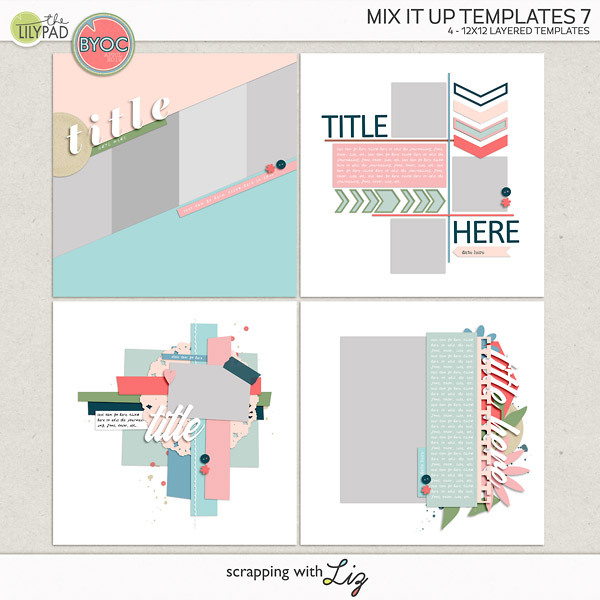 Juicy Fruit Templates, Perfectly Imperfect Alpha by WMSquared and Squared and Not Fit for Public Revamped by Laura Banasiak and Litabells Designs (no longer available). I just love seeing all those smiles! 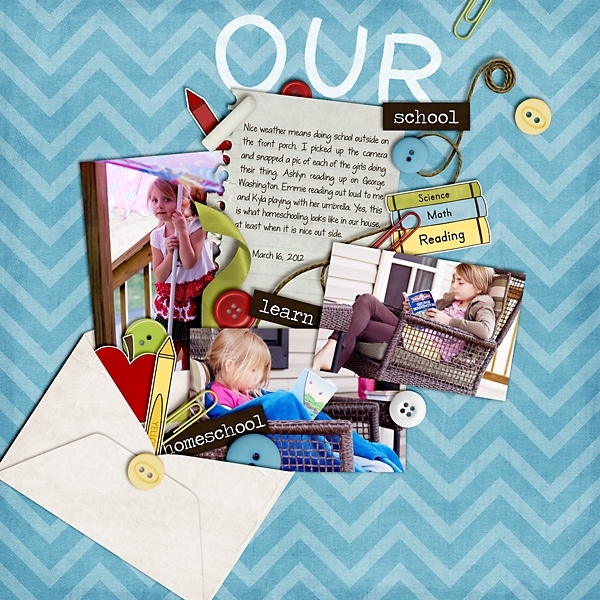 Double Album Templates III and Snow Pals Bundle by Meredith Cardall Designs. I like this one because I can reflect back on our schooling year and see what we were doing a year ago. This one just makes my heart happy. 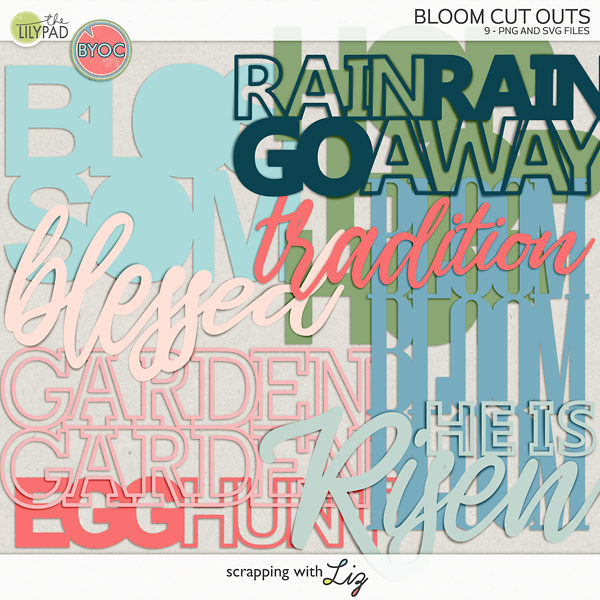 iNSD 2012 Templates and Check It Out by Bella Gypsy Designs. Anything to do with nature brings back lots of memories for me because it's something my family loves to do. We love to go on hikes, see waterfalls and just be outside together. We just went to Tallulah Falls again last week. Now I want to go scrap my most recent pics to Tallulah! But since I don't have time right now I thought I would sneak in a couple of pictures from our most recent hike. 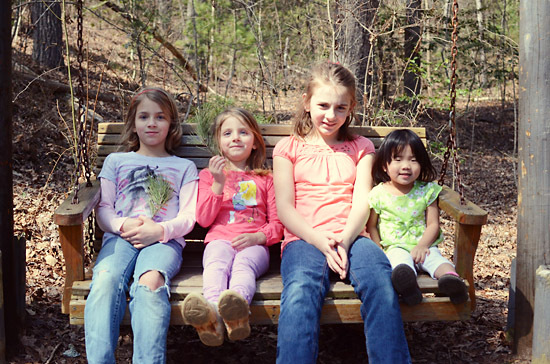 Here's a pic of all four of our girls sitting on the same bench from the pic above. 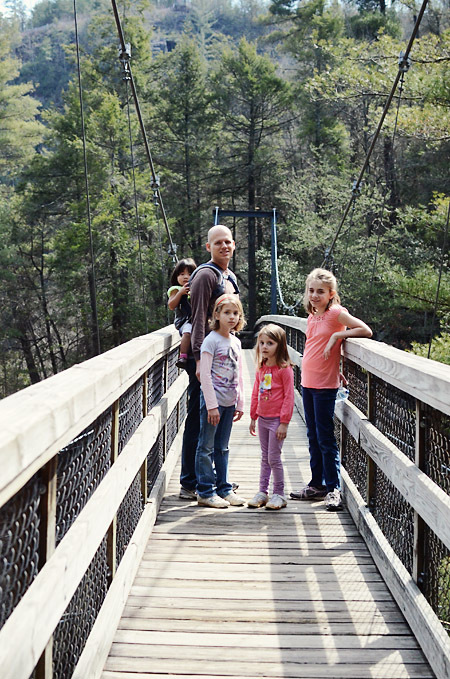 And then Daddy and his girls on the bridge. Tallulah Falls? Do you live near there? Just curious because I live in GA. I was wondering if you live near there as well. I live just above the GA line in NC! 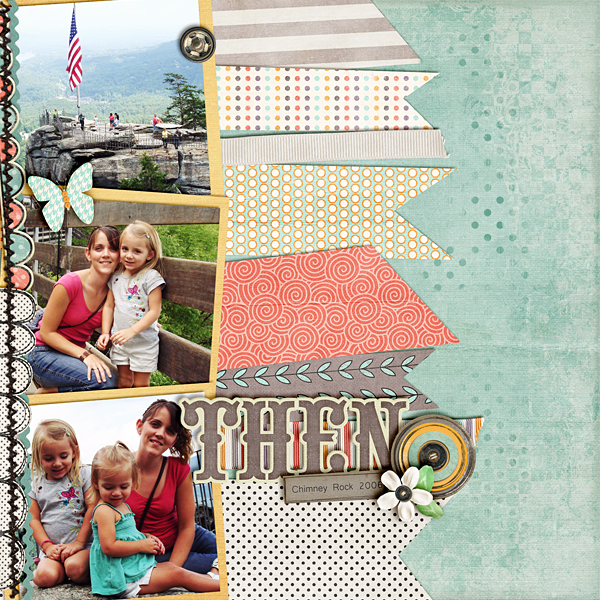 Denise and Amy C - I live in Western North Carolina, about 45 minutes from Tallulah. Amy - I think I probably live pretty close to you. I've considered having a meet up for people in this area. I know there are a few in Asheville. Would you all be interested? Wow! Look how much the girls have grown up! They are great pages Liz! !